I know many of you don't celebrate Halloween, and it might seem a bit early to start talking about autumn holidays, anyway...but stick with me for a moment. If you have qualms about having your kids involved in a celebration that, historically, is evil, or if you'd just like a safer way for your children to have fun on Halloween, this post is for you. If you were allowed to celebrate Halloween as a child, you probably remember the costumes and candy with great pleasure. I certainly do. That's why my goal is to allow my kids to enjoy the fun things we associate with Halloween without actually dabbling into the dark day. The traditional way to deal with this is to have a "harvest party" at a different time in October or early November. My sister in law does this with her four children with great success, through a local school. But there's no reason a single parent - or a church - couldn't follow suit. All it takes is a little planning. First, determine whether the party will be for the entire community (a great opportunity for churches!) or for a small group of friends. Obviously if the entire community is invited, you'll need a large space, like a school gym or part of a church. If only friends are invited, you own house will probably work fine. Next, alert parents ahead of time. Verbally explaining your plans a month in advance is ideal; follow this up with electronic or snail mail invitations two weeks ahead of time. 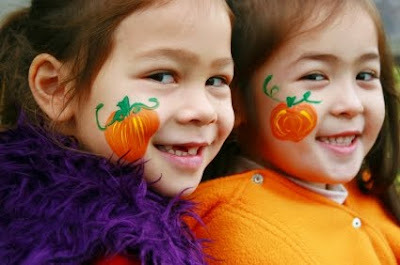 You want parents to be able to prepare costumes ahead of Halloween (or hang onto them after Halloween). If the event is for the entire community, give flyers to all the local schools, put posters up around town, and get the event listed in the local newspaper. If churches in your area sometimes hold so-called "Christian haunted houses," you'll want to make it clear this is not what your event is about. Make sure parents know this is just a safe place for children to play games and get a little candy. If the event is for the community, or a large group, make the "entrance fee" one bag of candy. For safety, this should be a store bought bag of candy; be sure to make the size of the bag clear to parents. You will accept the candy at the door and either divide it among all the children later in the party, or use it for prizes for the kids. The location should be decorated in autumn-ish ways. Think of hay bales, corn stalks, scarecrow, squash and pumpkins, and orange and yellow streamers and balloons. Avoid decorations strictly related to Halloween, like ghosts, witches, and jack-o-lanterns. 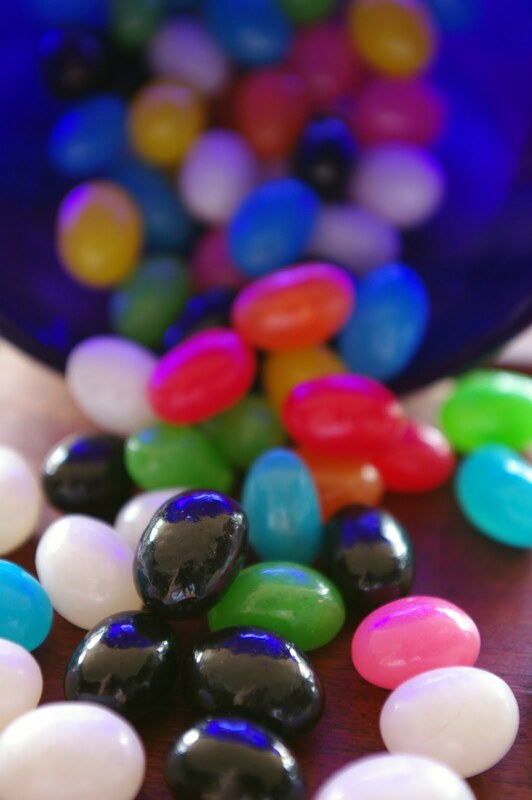 Then make the party all about games: Guessing the number of jelly beans in a jar, cake walks, bean bag tosses, and other carnival games. 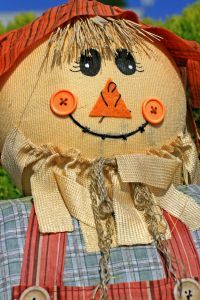 Do a ring toss, using the stems of pumpkins as the "stakes" for the rings, use empty water bottles and a round gourd to bowl, see who can put together a scarecrow the quickest. Ideally, every child gets a prize, whether he wins the game or not. Because you want the kids to get as much candy as if they were trick or treating, consider giving candy as the main prize. Serve food, if you like - simple and popular kid fare like hot dogs and chips. Or choose aumtumnish foods like apples, roasted pumpkin seeds, and pumpkin bread. Fun, silliness, costumes, and candy. That's a harvest party any kid would love. Do you or your church ever host a harvest party? Share some of your best tips or ideas, please!